As a teenager I had quite bad acne, but rosacea did not come until my late twenties after my father died. I know that many people try to treat rosacea with a chemical or cream-based approach, and I did the same for some time so desperate was I to be rid of this condition. Alas nothing worked consistently until I realised that rosacea is not simply a ‘one-size fits all’ condition. Rosacea and shame seem to come together. I am in my late thirties now and I’ve found something that seems to be helping a lot. It’s a combination of both emotional and physical healing, because I feel that rosacea should be approached in a more holistic way, including mind, body and spirit. Rosacea ties in with how we feel about ourselves as human beings and I wonder if other rosacea sufferers are having similar experiences to mine, which included not feeling good enough, feeling embarrassment about who I thought I was to self and family, having intense rage and anger when feeling jealous that others were passing me by, and a toxic shame that I should feel ashamed of myself for my lifestyle and choices. No matter what the reason for these feelings, they are generally untrue and are just a story we were taught and believed whilst growing up. All of these feelings may have been playing in the background of your experience for some time prior to the rosacea flaring and appearing on your skin. Perhaps you had friends or family members appearing to outshine you; maybe you felt you had achieved very little in your life compared to others. There is no clear answer why some people experience rosacea and others don’t, because there are a lot of people who feel this way, but don’t experience rosacea. It could be that you are extra sensitive. This is not a bad thing as we hone our skills and become more in tune with who we really are. 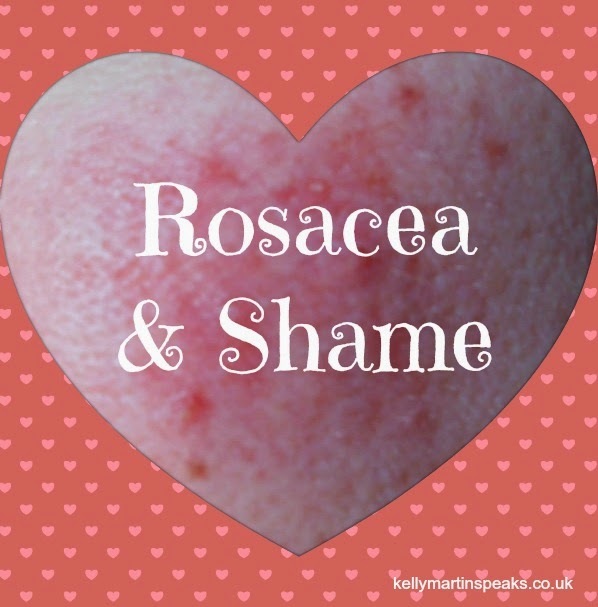 The rosacea may have been triggered initially by a shock in your life, or maybe your life was going through some major traumatic change at the time it began, but you may find lurking in the background a sense of shame for something you have not made peace with, be it your own emotions, or sense of self, or something that took place in your world. Shame is the feeling that who you are is not good enough; the feeling of being ashamed of who you are, your lifestyle, your choices, of how you ‘appear’ to both you and to the outside world; that there is something wrong with you, that you are defective, inadequate, not good enough, flawed etc etc.. I had periods in my life where rosacea improved and I noticed a pattern to the healing process – creativity and a sense of meaning and purpose in my own life. A feeling that I had a reason to be here and that my life was of a value. It was when I felt I was doing something worthwhile or I was being creative in some way that my skin improved. It could be through my writing, my art, or when I spent time practising 5 rhythms dancing. It was at these times that my skin became clearer. The redness still arose during extreme heat like sitting in the sun, but the acne and redness was far less. At these times I felt more me, I felt less shame, I felt more acceptable as a human being. But it all came flooding back when I gave up whatever project or activity I was pursuing (generally because it was not right to continue it) and as the feelings of being ‘worthless’, ‘useless’ and a ‘failure’ came back to me, so did the redness and acne. It is also possible that other skin conditions like psoriasis and eczema could have a background in shame or low esteem too prior to their onset. If you suffer from these conditions perhaps considering what was taking place for you when they all begin? The face reveals what we try to hide from the world. I am not talking about people who are unfortunately scarred in life, but for those of us who experience acne or rosacea or eczema, anything that could be seen as a stress-related condition. My face was literally saying ‘Look at me – I’m embarrassed because I’m not good enough’, but it was also a great signpost that something emotional needed dealing with and so it can be a gift. Anxiety, fear, shame, anger, rage and envy can all be great fuel for rosacea. If you have rosacea it may be time to get really present with your emotional world. Yes, it’s not easy, but there’s no way past this stage of healing, and it’s so worth it on so many levels. Mindfulness is being more fully present and in the moment with ‘what is’. This includes allowing feelings to arise, but instead of criticising or judging them, we become an observer of the feelings, as if they were clouds floating across the sky. This is only the beginning, as becoming more mindful becomes a great lifestyle change. We can’t heal or make peace with anything we try to avoid. 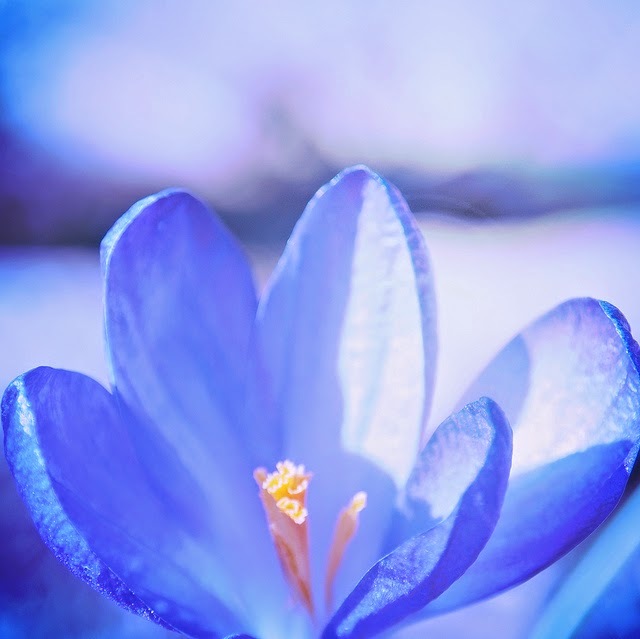 The emotional causes of rosacea are highly personal, and will vary from person to person, but when we begin to embrace these emotions with the heart of loving kindness, we begin to discover that right now, in this moment, we are enough! A physical solution to the surface level rosacea. For me I have discovered Turmeric home-made face-mask and Turmeric Drinks. This solution came as I became more mindful and more in-tune with my inner guidance. Mindfulness can help us hear and feel our intuition more, so that we become more inspired to know the calling of our soul and what activities or directions will benefit us. Mindfulness can help us make peace with fear and learn to see emotions as simply a passing experience – not good or bad, simply feelings arising and leaving. Mindfulness can help us accept our physical appearance and as we do we will either accept rosacea, or discover a physical solution, or it may just clear up. 1. Before rosacea how did you feel about who you were, you place in life and your overall experience? 2. Have you had times when the rosacea improved? What was taking place in your life at the time? 3. Could there be shame hidden by other distractions in your life and are you ready to make peace with ‘what is’ through becoming more mindful? All these questions may help you a lot, not just with rosacea but your whole attitude to yourself and your life. The Mindful Way Through Depression (great for anyone – not just those experiencing depression or anxiety). What is your experience with rosacea? Living With Rosacea and some great posts on mindfulness HERE. This is an excellent article, Kelly. I wonder if we could throw psoriasis in the mix, also. I love your writing. You have os much to author. Please correct the last line: "I love your writing. You have so much to offer." I don't know what rosacae is. I do get some eczema. I'll read up on rosacae. Hope all's well. Thanks for commenting Stevie, rosacea is where peoples cheeks go really red and can also have acne too, combined with it. Its not nice as sunbathing can pose problems and eating spicy food, drinking alcohol, we often look like we are blushing when we are not. Eczema is not an easy skin issue either, hope you find some respite from it. I’ve just come across your article. I don’t know what my skin problem is, however I’m thankful to find your site. Someone suggested Rosacea, a homeopath. Just with a friend talking about what it may be on an energetic level and then I find your site which is helping me to think further about it again. I’ve been suffering with this skin condition for over 20 years now. Going to investigate again what it could be as I try to just get on and ignore it. I recently tried a wormwood parasite cleanse and it’s not improved. Thank you for posting and sharing your thoughts. Hi Heather, thanks for commenting. Is your skin tender to the touch? And does it go redder especially in warm environments like sitting in the sun, eating spicy food? If so it’s probably rosacea. Along with looking at how we view ourselves, or seeing if we have a fear about being seen on some level, I also found cutting out milk products helped a lot too. And also freeing sexual energy, for example if your energy is blocked in the base/sacral chakras this can prohibit the creative flow of energy which also makes us feel more like we belong here. Dancing, sexual pleasure etc… this frees the energy and any exercise that feels fun frees the energy too. Thank you Kelly for your website . My husband has rosacea and is getting him down. I look at it very spiritually and am working with him to release what is blocking his energy . Would holistic facials help with the redness? Thanks for your comment Shaida. It is hard to have rosacea, I totally understand how your husband feels. I’m not sure if facials would help, because when I’ve had facials in the past I’ve found my cheeks get redder and hotter. Also finding out if he has any shame or embarrassment to maybe see someone for healing or a talk therapy of some sort to help him clear that. And lastly, finding a way in the meantime to accept that his face is revealing his emotions and they can’t be hidden and to be okay with being sensitive. Which is often particularly hard for men. On a superficial level trying not to be in the sun too much or using a zinc oxide sun cream. Also limited spicy foods and alchohol. Certain drinks made me redder (for example red wine makes me very red), white less so. And being kind to his skin. I never use soap on my face, just water. I have Rosacea for about 20yrs but only about 4yrs ago it got worse and worse. I relate to every example you gave… But it is really hard to know wich “trauma” I haven’t dealt with. I do remember many situations that I felt embaressed, afraid, jealous, anger, etc… And I want to close those episodes but I don’t know how. I think to myself that I must let go, that a certain event does not define me but it seems that I can’t let go of some feelings.. I want to be in peace but at the same time it feels like I can’t let go of the hurt. Do you think I should find someone to guide me? Maybe you need to embrace the hurt before you let go of the hurt? I have found if I try and be positive or let go before I am ready to it causes further resistance in me. You could look for someone in your local area, a therapist that could help you in letting go. That could be true too, I am from the UK and I think I have Scottish in me. Wonderful you worked on shame. The more I clear shame the better my skin has become.